Following the ongoing lobby for speakership of House of Representatives, the ambition of Majority Leader of the House, Hon. 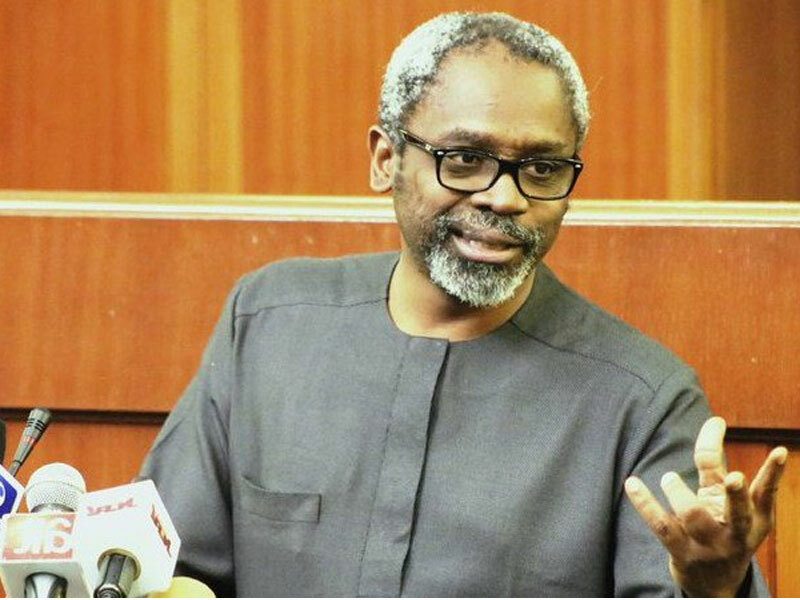 Femi Gbajabiamila to become the Speaker got a boost weekend as elected members of the House of Representatives from the All Progressives Congress (APC) from the South-south states have adopted him as their preferred candidate. This is coming as a political group, Wase Equity Project (WAP) 2019, has declared as unfair the purported zoning of the Speaker of the House of Representatives to the South- west by the APC. Also, Conference of APC state Publicity Secretaries (CAPS) in the South-east has called on Gbajabiamila to drop his ambition for the sake of equity. A meeting of the elected APC lawmakers from Edo, Delta, Bayelsa, Rivers States was held in Benin City yesterday where they agreed to adopt Gbajabiamila as their preferred candidate. 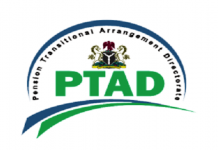 The meeting which reportedly lasted for several hours, had ranking members from Edo State which included Honourable Peter Akpatason, a third time member representing Akoko-Edo federal constituency, Johnson Oghuma, a second timer representing Etsako Federal constituency, Patrick Aisoweren representing Orhionwom/Uhunwomde constituency in attendance. Others were Professor Julius Ihonvbere, Dennis Idahosa with their colleagues from other states of the zone. 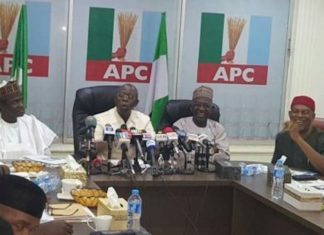 “We met with our other elected colleagues from the South-south to take a position on who becomes new Speaker of the House of Representatives and we have opted for Gbajabiamila, we will be going to Abuja tomorrow where he will formally meet with us and make his intention known formally to us”, one of the lawmakers who preferred anonymity said. Meanwhile, a political group, Wase Equity Project (WAP) 2019, has declared as unfair the purported zoning of the Speaker of the House of Representatives to the South- west by the APC. Director General of WAP, Hon. John Dyegh, said at a media briefing over the weekend, that the North-central zone should produce the next Speaker for the sake of equity and level-playing ground. The zone is touting the candidacy of a four-time member of the House, Hon. Idris Ahmed Wase from Plateau State, for the position. Dyegh, who is representing Gboko/ Tarka Federal Constituency of Benue State, reckoned that the zone should get the nod over the South-west given the volume of votes it gave the APC candidate, President Muhammadu Buhari during the presidential election held on February 23. Buhari amassed 2,313,375 votes in the North-central zone in relation to the 2,036,450 votes he got in the south-west zone. 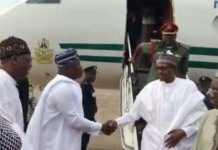 He also posited that for political balancing, the slot should be conceded to the North-central zone, given that the President is from the North-west, the vice president from the South-west, while the party has zoned the Senate President to the North-east. “We are consulting and for the sake of equity and we hope it will work out. The only zones that gave the President more votes are the north-west and the North-east,” Dyegh stated. 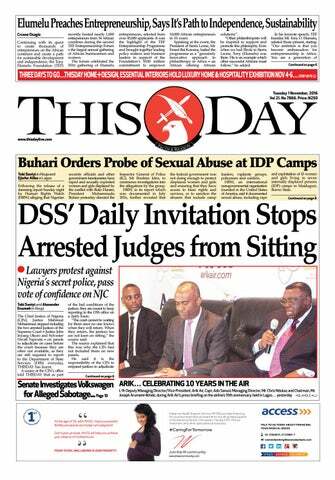 THISDAY also gathered that the zone wants the Speaker to make up for the loss of the Senate President, which is occupied by Senator Bukola Saraki, who incidentally lost his re-election bid to the Senate on the platform of the PDP. In a related development, the Conference of APC state Publicity Secretaries (CAPS) in the South-east has called on Gbajabiamila to drop his ambition for the sake of equity. In a statement signed by the publicity secretaries of the party in the five South-east states, and made available to THISDAY in Awka, Anambra State capital, CAPS said it was unwise to leave out the South-east, while sharing positions in the country. The group, which consists of Nwoba Chika Nwoba, Ebonyi State; Mrs. Kate Ofo, Enugu State; Benedict Godson, Abia State, and Okelo Madukaife, Anambra State, called on Gbajabiamila to continue to be the Majority Leader of the House of Representatives. Part of the statement read: “We wish to invite Gbajabiamila, an otherwise distinguished and ranking member of the Federal House of Representatives, to drop his ambition to be the Speaker for now and continue to serve as Majority Leader because ‘this House must be built on equity’. 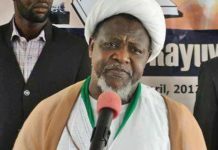 “It is our considered view that the South-west geopolitical zone cannot take the office of vice president and Speaker; the North-east, Senate presidency and Secretary to the Federal Government, while the South-east goes home ‘whipping and weeping’.